Daily Nous readers, here’s something cool. We’re going to help designer Jeremy Kalgreen decide who to add to his portfolio of philosopher portraits at Hirsute History. While we tend to focus on the strands of thought of the great philosophers, Kalgreen focuses on the strands of hair, and then puts the images on shirts. He has come up with a list of ten philosophers he’d be interested in illustrating, and we’re going to narrow it down. So we’ll do a poll and he will make portraits and shirts of the winner and the runner-up. And, bonus: he will select four poll participants at random and send them each a free shirt. That’s Mill, Diotima, Kant, Leibniz, Hypatia, Hume, Hobbes, Weil, Frege, and Locke (no guarantee that these portraits will be what Kalgreen bases his designs on). Below is the poll. You can vote for up to three philosophers. 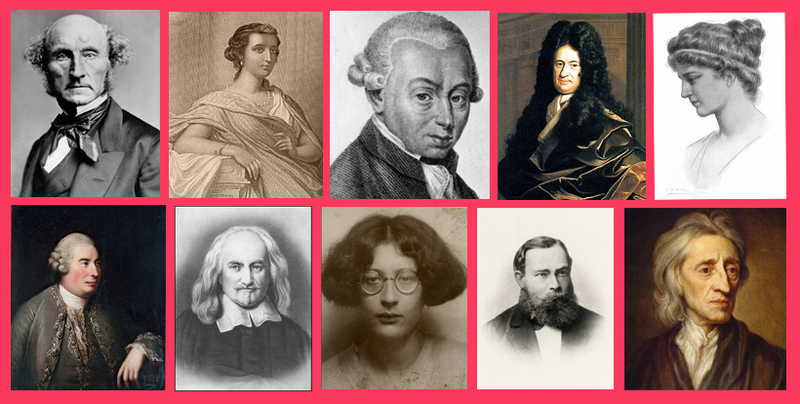 Which philosophers should be featured next at Hirsute History? If you’d like to be entered into the drawing for a free shirt, once you’ve send your name to [email protected]. The poll will remain open for one week.